Protesting about elitism and the establishment clearly makes you a hardened terrorist who should be banged up and then deported in the eyes of Teresa May. 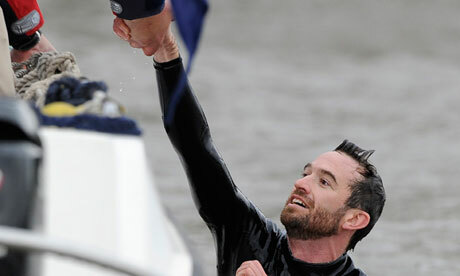 Trenton Oldfield is facing deportation after disrupting the Boat Race protesting about elitism in this country. Unfortunately for him he is Australian and the Home Office are refusing to renew his visa. He is married to an British woman and has lived here for 10 years. He received a 6 month sentence for the protest - a sentence that I find hard to accept given that the protest was non-violent. Perhaps the country never really left the Victorian era? There is an e-petition here and more from the Guardian here. Let's try to overturn this affront to peaceful protesting.